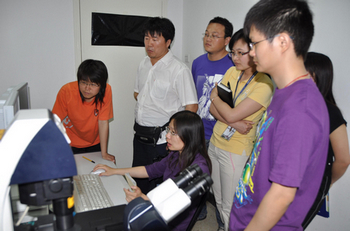 Laser scanning confocal microscope applications and new technology training, one of instruments and technology lecture series, was held in IGDB on May 24, 2010. 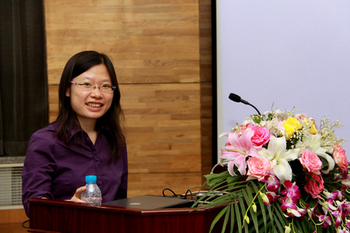 Tian Yanbao from Center for Genome Biology chaired the event. In the morning session, Dr. Wang Yijing, Leica Company’s application engineer presented a report on the applications and in the afternoon he gave a 3 hours training on the machine usage. 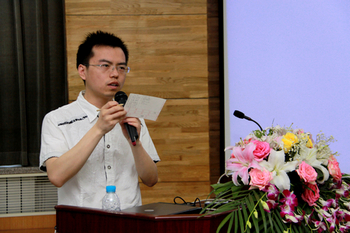 Dr. Wang Yijing made the presentation by vivid illustrations, depicting principles, characteristics and applications of the laser scanning confocal microscopy, fluorescence lifetime correlation spectroscopy, white laser and stimulated emission depletion and other new technologies. 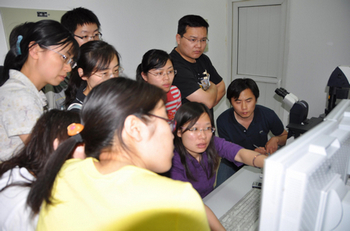 In the afternoon Dr. Wang gave training on the practical usage of the machine, especially on confocal image acquisition and processing using the essentials, such as demonstration notes and explanations. He also answered to the questions from the trainees. Training on the machine was conducted orderly in an active atmosphere. 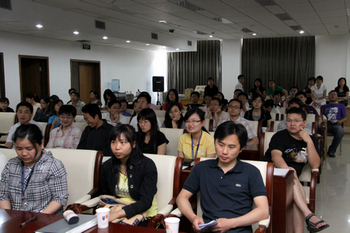 More than 60 researchers, internal as well as external, participated in the training. 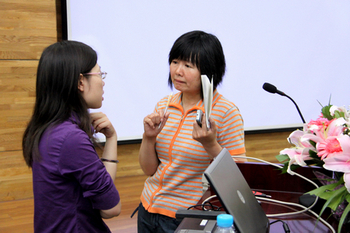 All the participants found this training very effective and thought it will help in their future research.